– Ali Brigham was the top scorer for the Panthers with 24 points and Bea Bondhus scored 12 to keep Franklin unbeaten in the league. 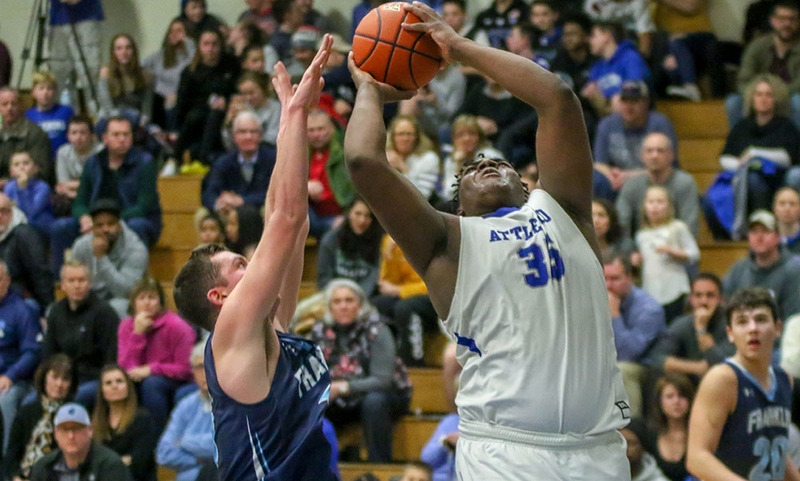 "Having to try and match up with Attleboro’s 6-foot-5, 295-pound center Qualeem Charles for 32 minutes is one of the toughest covers in the entire Hockomock League. Franklin stormed back from a 15-point fourth quarter deficit to tie the game in the final seconds and send the game to overtime but Charles scored half of Attleboro’s points in the overtime period to help the Bombardiers secure a 51-46 decision in overtime."